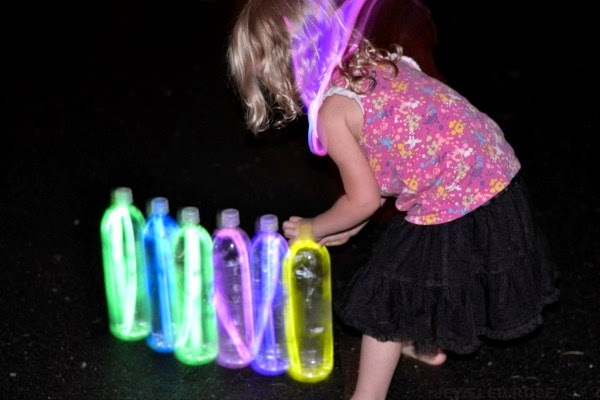 Glow in the dark bowling is an activity I have been anxiously waiting to do with my girls. Now that it is warm enough and Rosie and Jewel are old enough we finally got our chance! 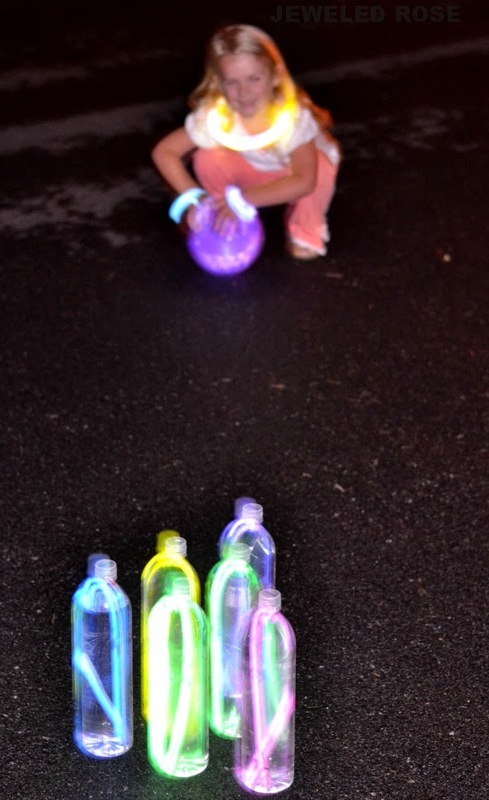 The girls were so excited to head outside with a glow in the dark bowling ball and go night bowling..... and they even got to make the glowing pins and ball themselves. Note: If you don't have a hamster ball you can get one for a few dollars online here. 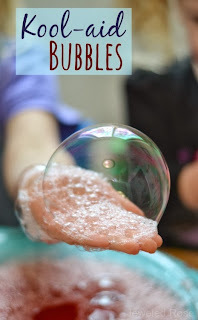 You could also just use a regular ball. To make the glowing pins all you have to do is place one or two activated glow sticks into each water bottle and put the lids back on. You can fill the pins with water if you want. 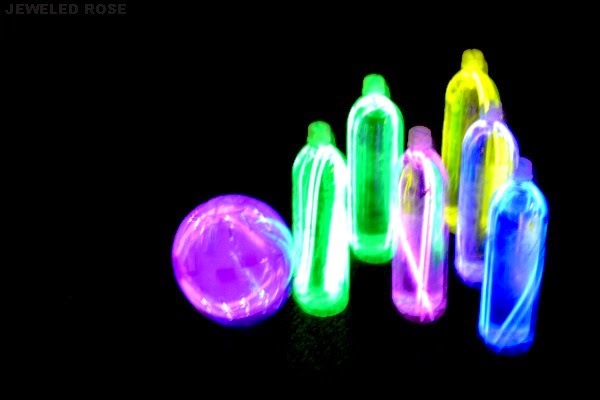 To make the glowing bowling ball just tape the desired amount of glow sticks to the inside of the hamster ball, put it together ,and secure the side and lid with tape. That's it! Then it's time to PLAY! The pins looked really neat when they got knocked over, too! 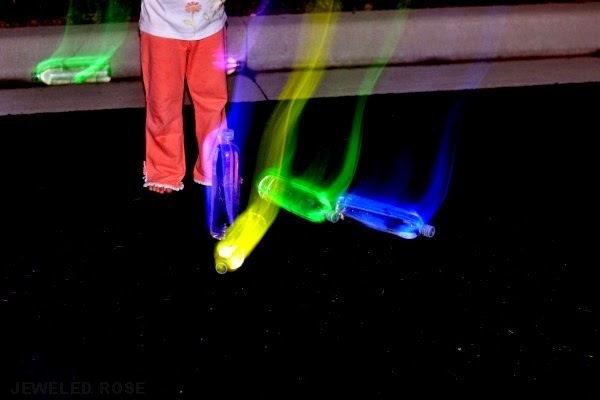 This was a great way to burn a little energy just before bed! 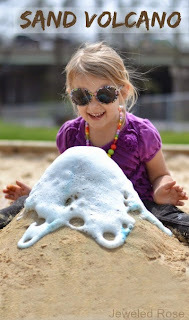 Rosie and Jewel had lots of fun, and this simple activity costs less than $1 to put together. 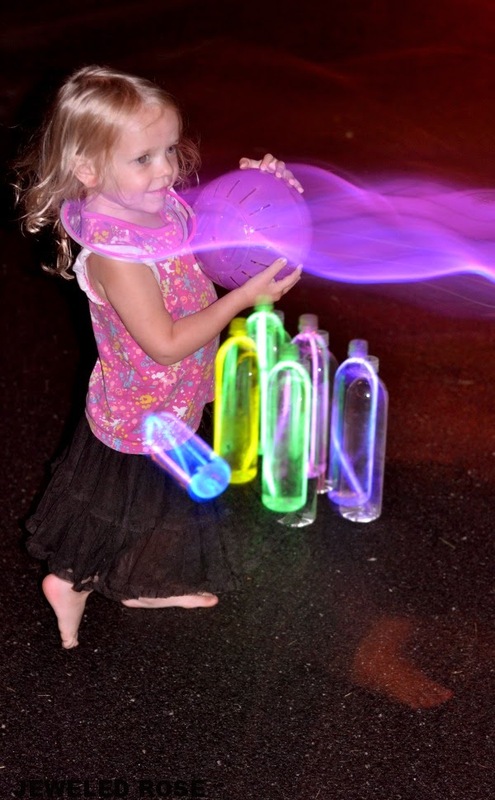 A Few Tips: For the pins we used Smart water bottles from our recycling. 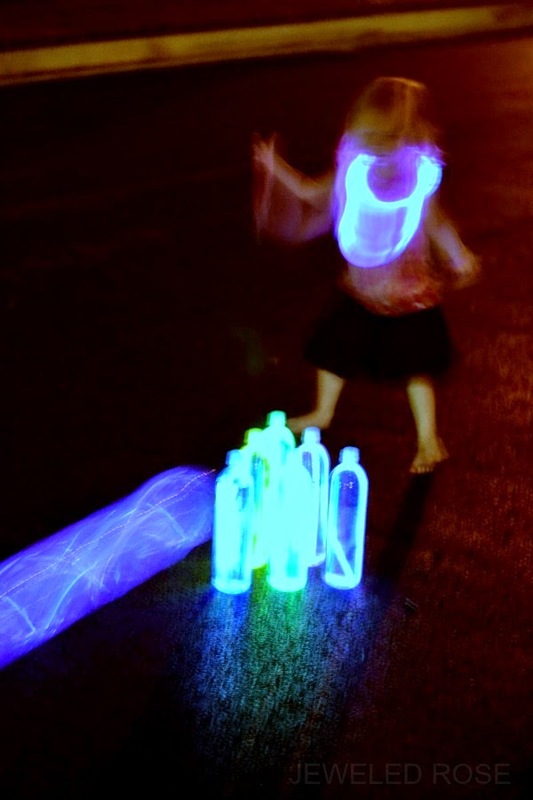 I used glow stick necklaces in the bottles because they are longer, and I used glow stick bracelets to make the glowing bowling ball. 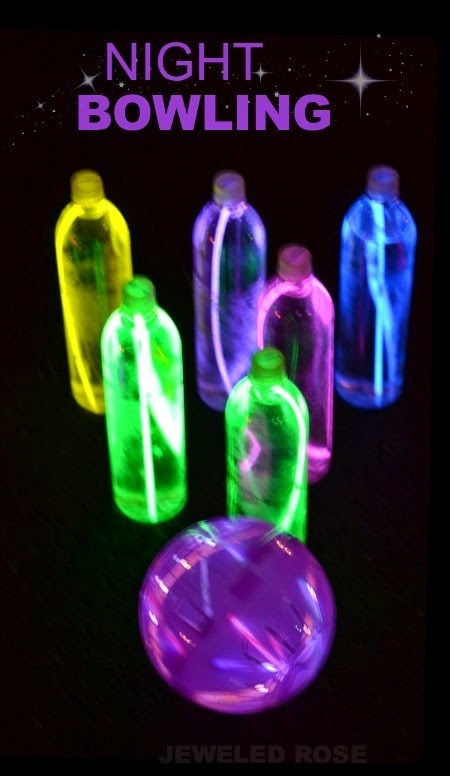 You can get glow sticks at the dollar store or online here.